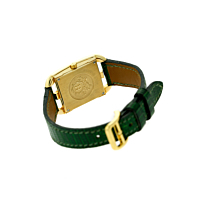 A timeless classic Hermes "Cape Cod" watch featuring an 18k yellow gold case, and clasp. 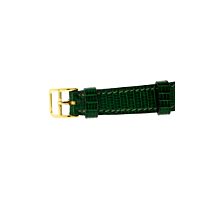 The rich green strap adds the perfect amount of class to this piece. The case measures .90" wide by 1.33" in length.